For the First Time at Northern New Mexico College! No math expertise needed. Just a love for learning, mentoring and math. 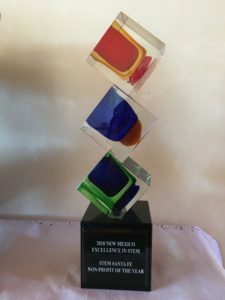 STEM Santa Fe leads many STEM programs in Northern New Mexico that are project-based and hands-on, providing extended learning experiences and mentorships for our youth at low to no cost to the families. We are a volunteer-based organization of STEM professionals serving as mentors and role models.